This Naples Florida desensitization bride told her bridesmaids to pick their favorite style of dress. 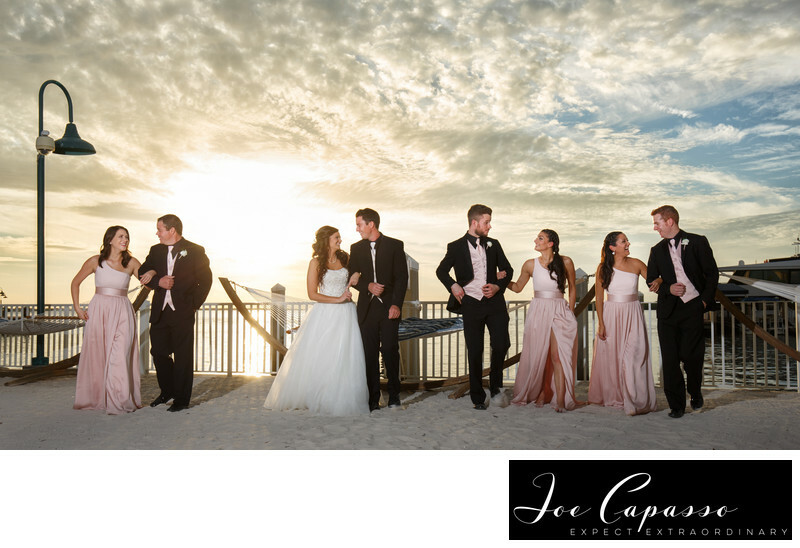 This bridal party photo was taken on the beach just outside of the Sanibel Harbour Marriott. The Marriott hotel is a popular place for destination weddings in Florida. 1/200; f/8.0; ISO 100; 30.0 mm.